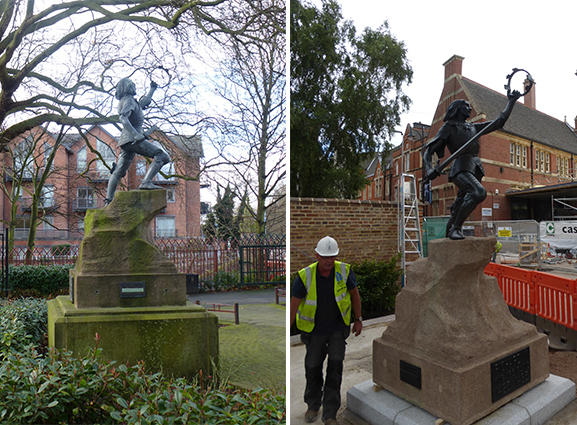 Following an initial condition survey, Hirst Conservation were honoured to be invited to undertake the conservation and relocation of the Richard III statue as part of a £2.5M project to regenerate Leicester cathedral gardens. 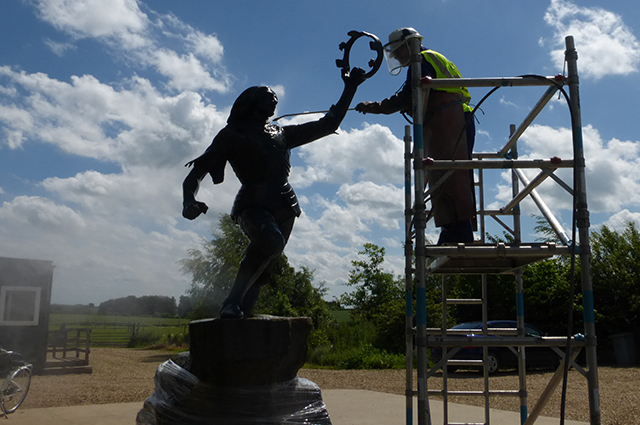 Prior to treatment, the statue was removed from its previous location and transferred to our studios in Lincolnshire. Treatment included Doff cleaning of the plinth and poultice cleaning to remove more intransigent stains. 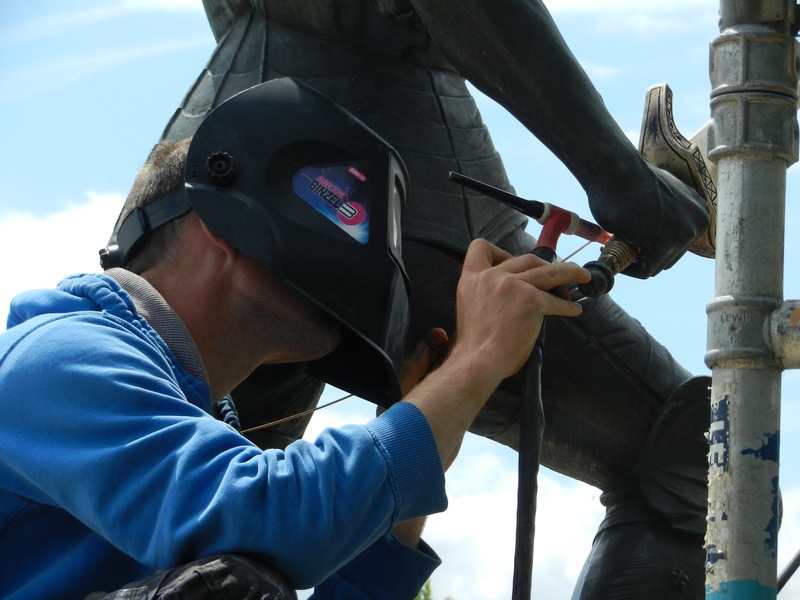 Some brazing repairs were carried out to weak joints in the feet and hands of the sculpture and a replacement sword was cast in bronze to replace the non-original short sword held in Richard’s right hand. After cleaning of the bronze it was re-patinated and waxed. Following the completion of treatment the statue was relocated into a more prominent position.